FootJoy reinforces the heel of its socks by double-layering the heel area which provides support and cushioning in a known high abrasion area. The Comfort Seam is FootJoy's exclusive enclosed toe seam for advanced comfort and fit. These socks come in a 3 pair band and are a great value for on and off the course. 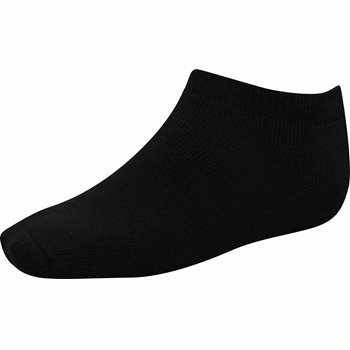 These are a good value - very comfortable, good price, and better quality than other brands I've bought in the past. Sticking with FJ from now on.